After you make your appointment, Sandy (our office manager) will welcome you and get you set with your paperwork, which we really try to keep it to a minimum. Do not hesitate to ask her any questions. We file many forms of insurance, including Medicare. We accept cash, credit cards. Local packages as well as senior discounts are available. See our billing page. Your first visit will take about 30-40 minutes, including your treatment. 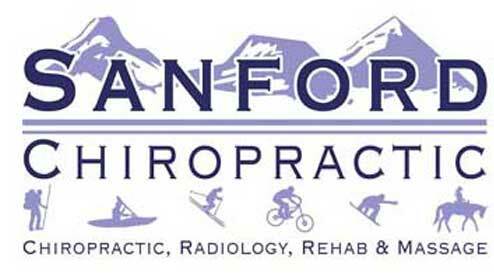 Dr. Sanford is a very good diagnostician and does not assume that every patient is a chiropractic patient. Only after a careful history, examination, and X-rays (only occasionally necessary) will Dr. Sanford decide to treat your symptoms. Otherwise he will refer you to the appropriate specialist, with whom he has many well established relationships. After Dr. Sanford has determined that he can help you with chiropractic treatments you can expect treatment and relief the first day! 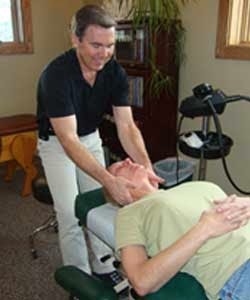 For more information about Dr. Sanford's treatments see our "Adjustments" page.